I connect my iPhone to my car stereo via Bluetooth to play music, but if I try to record a video while a song is playing, it abruptly stops. Same thing for those that are connected via USB or AUX cables. 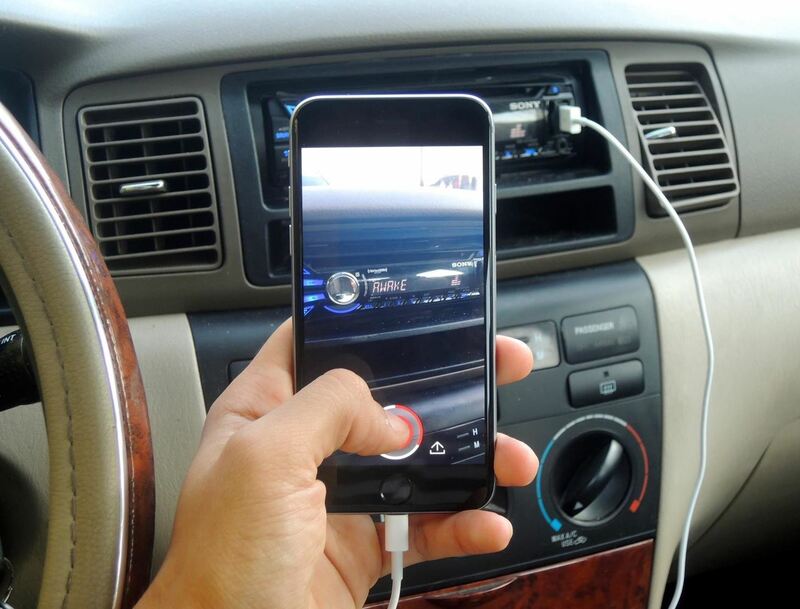 Even if you're playing music straight from your iPhone's internal speakers, it'll stop as soon as you start recording. 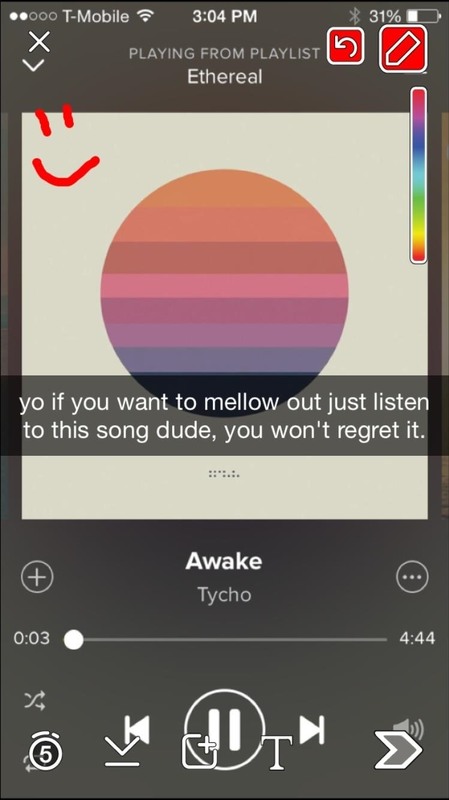 Now, with the help of a jailbreak tweak on Cydia called Phantom for Snapchat, from CokePokes, you can record a Snapchat video while actually listening to music on your iOS 8 device. You will, of course, need a jailbroken iOS 8 device for this to work. While Phantom for Snapchat already exists in Cydia, the feature that allows for recording video while music plays is only on the beta version. You'll need to go to the Cydia app, go to "Sources," tap "Edit," then "Add." 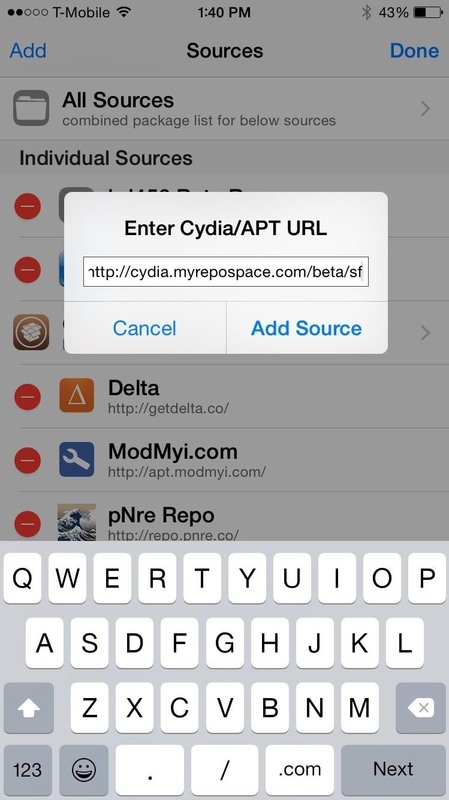 Type in "cydia.myrepospace.com/beta/sf" and tap "Add Source". 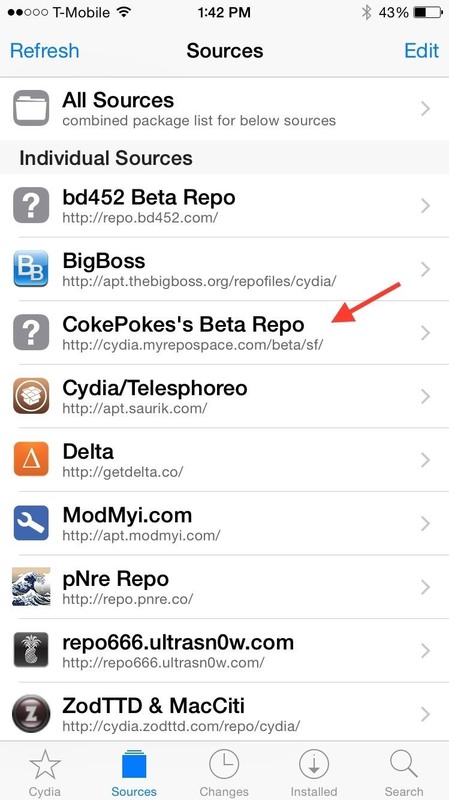 Then, you can find the new repo, called "CokePokes's Beta Repo," in your sources list. 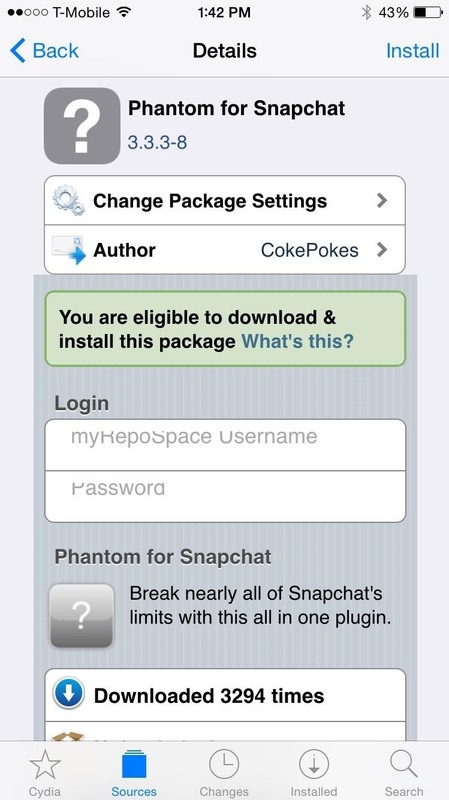 In CokePokes's Beta Repo, you'll find the beta version of Phantom for Snapchat. Install it and tap on "Restart SpringBoard" to reboot your software so the tweak can take effect. 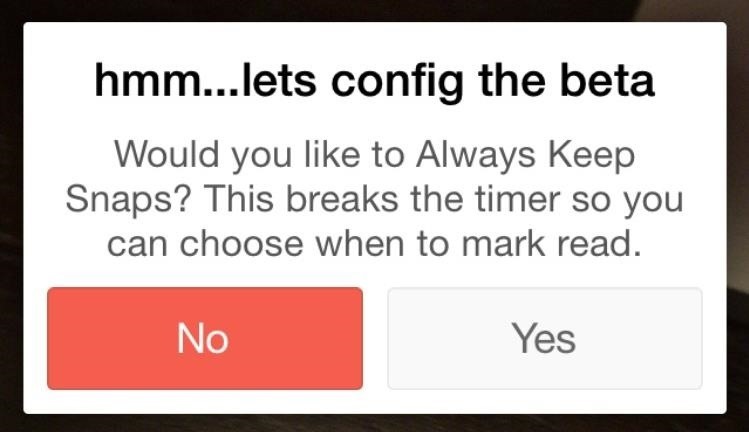 When you log in to your official Snapchat app, you'll receive a popup from Phantom asking if you would like to configure some of the settings. 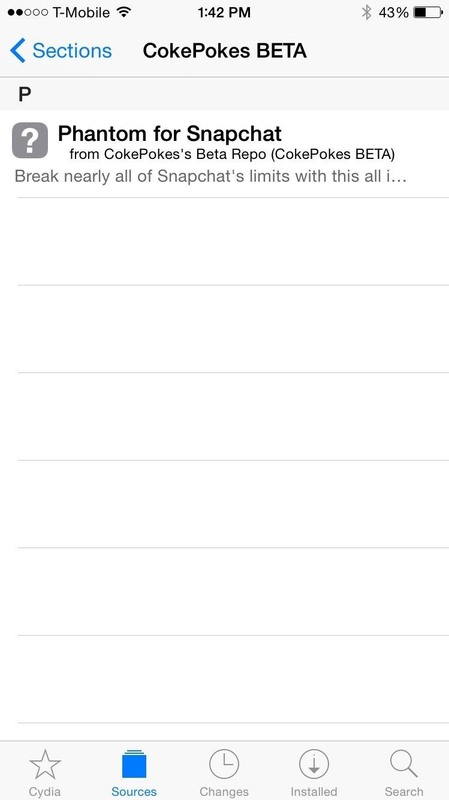 Once you finish that, you're ready to try out all of the new features now available in Snapchat. Among other features, you'll be able to save pictures and videos without notifying the sender, send pictures and videos saved in your camera roll, and type as much text as you want. Now whenever music is playing from your device (either internally or externally, as pictured below), the music won't stop playing. Finally, I can send my 8-second karaoke clips! Are there any other Cydia apps or tweaks that have caught your attention? Let us know in the comments below. I followed your instructions diligently and was able to get every single feature you advertised... EXCEPT... the one I was ultimately hoping to get. 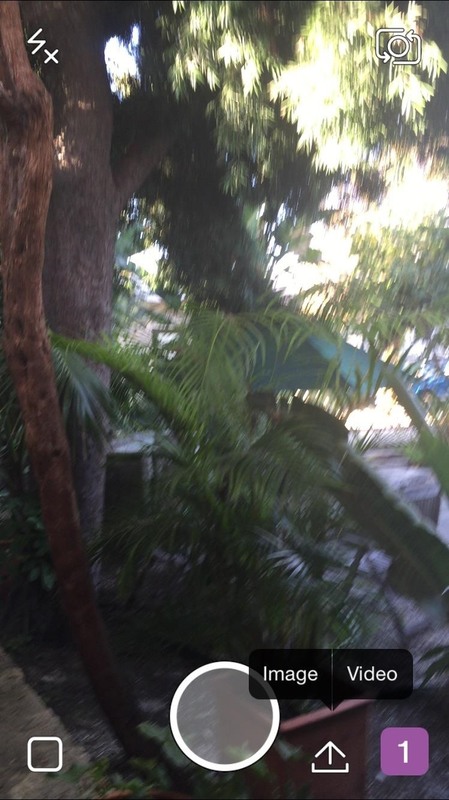 The ability to record a snapchat video while phone is connected via usb, aux, or bluetooth ( the method I use most often). It is very frustrating. Uninstalled and reinstalled it with no luck. What could be the problem... please help!